Quebec City, the capital of its namesake province, is the second most populated city in Quebec, after Montreal, with a little over 490,000 residents in the city and 715,515 residents in the metropolitan area. 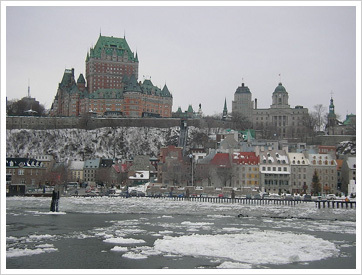 Quebec City was founded in 1608 by Samuel de Champlain, and is now one of the oldest cities in North America. Its long history gives this city a unique charm and distinctly European feel with stone buildings, narrow winding streets lined with charming boutiques and restaurants, and its original fortification walls. Needless to say, Quebec City is a popular tourist attraction. Quebec City contains the provincial parliamentary buildings and, as such, public administration, defence, and the services industries make up a large part of the city’s economy. 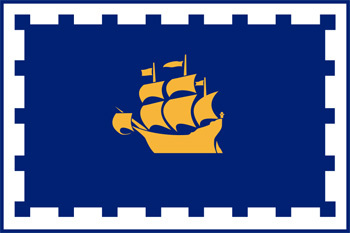 Quebec City is largely francophone and, unlike its Montreal counterpart, functions mostly in the official language. City view of Quebec, Canada, with the Chateau Frontenac on the left. Photo shot on February 14th, 2005. Overall, alcohol consumption and drug use is rather prevalent across all of Quebec’s high school students. Marijuana, it has been found, is especially popular. In 2002, in a study commissioned by the province’s Ministry of Health on high school students, experimentation with substances was common in a large portion of the students by Secondary II or III. A large number of high school students had consumed both drugs and alcohol, although not necessarily simultaneously. Approximately 39 percent of the surveyed students reported having used both substances at least once in the 12 prior months. Comparatively, about 30 percent of the students had consumed only alcohol, choosing to abstain from drugs, while 28 percent had abstained altogether. Although these findings are rather alarming, it should also be noted that 55 percent of the students either completely abstained or used only alcohol at a low frequency. In a study published by the Canadian Journal of Psychiatry from the Center for Addiction and Mental Illness (CAMH), approximately 11 percent of all Canadians have a reported substance abuse problem. The province of Quebec, though, has an overall rate of 9.12 percent, one of the lowest occurrence rates in the country, along with Ontario and Prince Edward Island. Overall, the study found that substance abuse rates were higher in mid-sized cities, such as Quebec City, than in rural or larger metropolitan areas. At Sobriety Home, we keep up-to-date on all the latest addiction research so that we can offer the best addiction treatment programs possible. New research allows us a better understanding of alcoholism and drug addiction, resulting in better counseling, treatment, aftercare, and, ultimately, a more successful recovery process for you.